The expansive list of a la carte dishes contains chicken, lamb, vegetable and seafood options. There are many vegan and gluten-free choices as well, such as vegetable biryani with basmati rice and garden fresh produce cooked with nuts, herbs and seasoning, or chana masala, garbanzo beans with ginger in spiced cream. Request spicy or mild heat as desired. Catering is available for pick-up or set-up and delivery. The luncheon buffet is fast and fabulous at only $8.95. The sprawling buffet holds 30 items with meat and veg curry dishes that rotate daily. The Sunday Champagne Brunch is slightly more. They include salad, rice and lentil standards plus dessert. Northern Indians love dairy, so the sweeties include kheer, arice pudding; gulab jamun, cheese balls in scented, light syrup; and kulfi, mango or pistachio Indian-style ice cream. 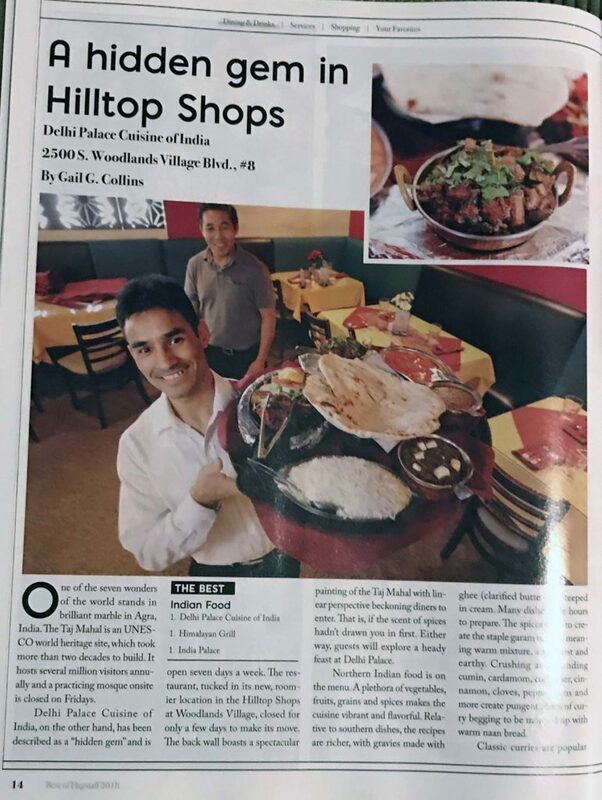 All dishes are homemade, and Ramesh Gauchan, owner since 2011, lends his long term expertise in the kitchen.